Autumn glory in Oxford - Botanic Gardens and Impressive Architecture! I can never decide whether it's spring or autumn I like best, but the colours were so glorious in the sunshine at the University of Oxford Botanic Garden yesterday that I'm swaying towards autumn! I love this garden and it's never better than on a slightly chilly day in October, when the sun catches the plants at their best. 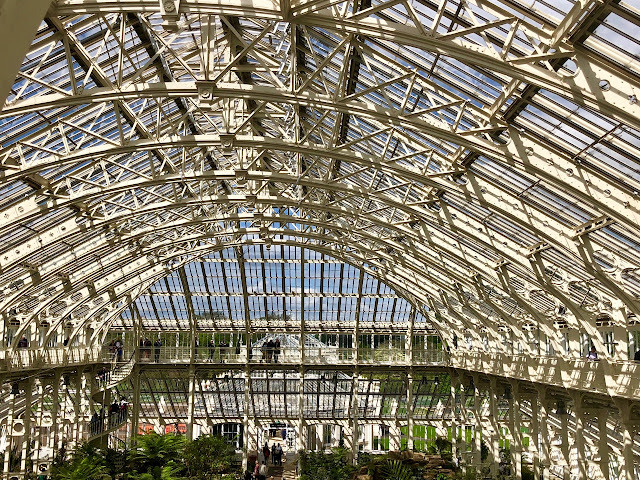 It's the oldest Botanic Garden in Britain (founded in 1621); its location is wonderful; and its plant collections are astounding (and I know I've written about it before, but it deserves to be mentioned again because there's so much going on here!). This is just one of more than 2,200 Botanic Gardens in 153 countries around the world. All play a major role in plant preservation, because today there are more than 30% of the world's endangered plant species in these gardens. And Oxford is certainly doing its fair share to make people aware of trees and plants with its new "Healing Power of Plants Trail" which aims "to introduce visitors to the role of plants in contemporary medicine". When I visited, there were several groups of school children in the garden, all learning about the role of plants, and clearly having a wonderful time! 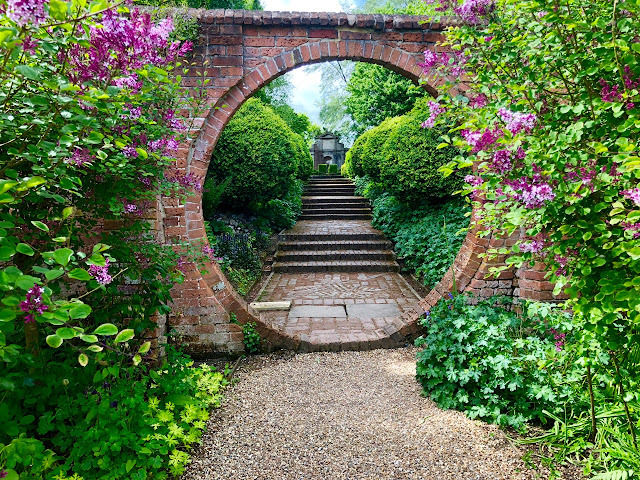 The gardens here are divided into three areas - a Walled Garden (top) with impressive central flower beds classified by botanical family, while the magnificent borders against the walls are divided into geographical regions including the Mediterranean, South Africa and New Zealand. 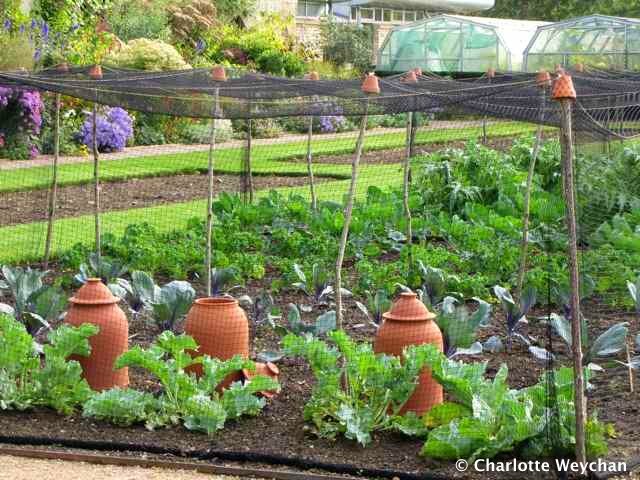 The plants in the wall borders benefit from the protection of the walls which effectively provide a microclimate. The second area is the Lower Garden, with its impressive vegetable plots (above) and its herb and fruit collections. 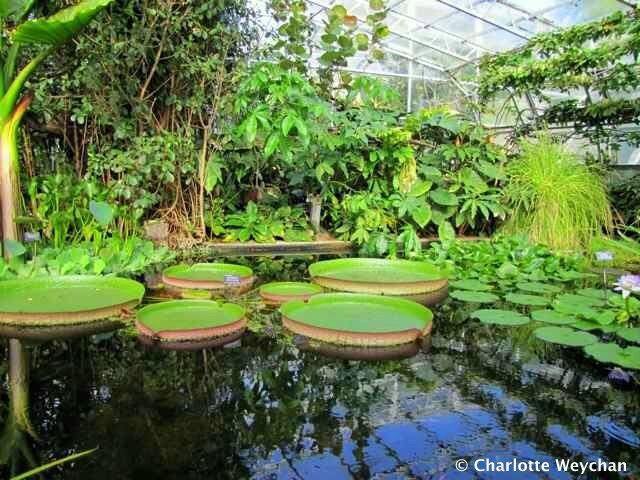 There's also a Rock Garden and glorious Glasshouses, including the Lily House, which is home to an impressive collection of Victoria Amazonica (above). They've always been a favourite of mine and every time I see them, I stand and stare in amazement, as I did at Bok Tower Gardens in Florida and Val Rahmeh in Menton, France. They make me want to turn into a frog so I can bask on the leaves! Everywhere you look in this garden there are impressive plant displays and it's location at the heart of the city makes it even more remarkable, because you can see so many of the city's spires from inside. 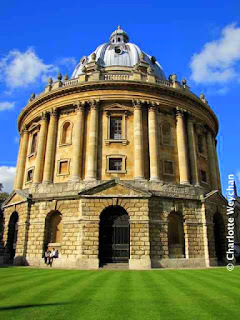 Oxford 's a glorious place to visit at any time of year, with its unique architectural landmarks, like the circular Bodleian Library (right) at the heart of the city and just a couple of minutes walk from the gardens. 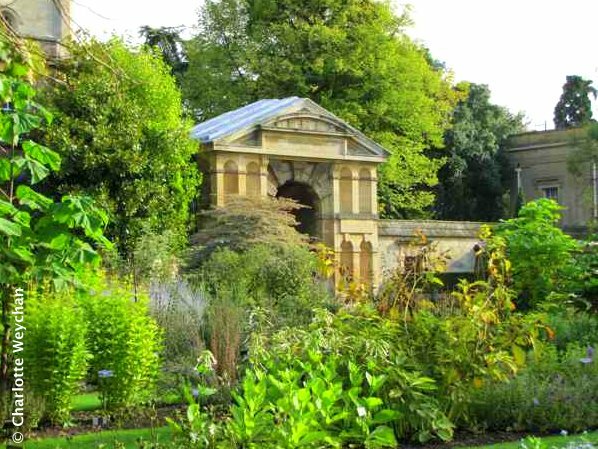 There are also the Oxford colleges, many of which have their own gardens, but more on that in another entry when I've had the chance to explore them. 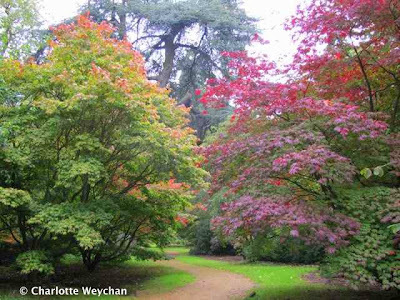 Also owned and operated by the Botanic Garden is the Harcourt Arboretum just a few miles outside the city, where you'll find trees that date back to 1835 and some impressive collections, including giant redwoods and acers which are now beginning to turn into a fiery furnace of colour in the autumn air (below). The 37 acres here include parkland and woodland. 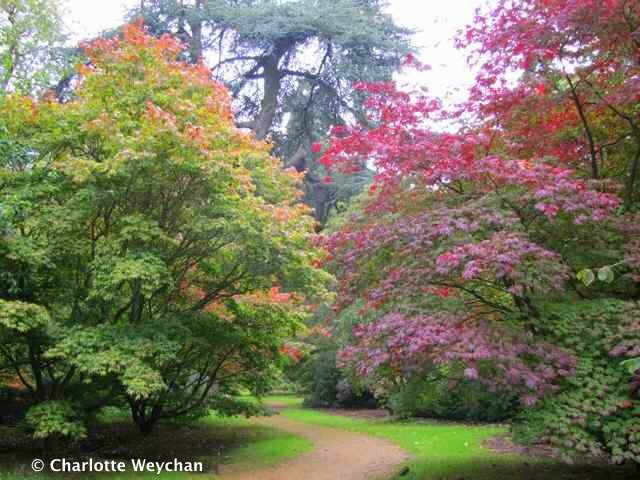 Wait a couple of weeks and acer glade will be in full glow! 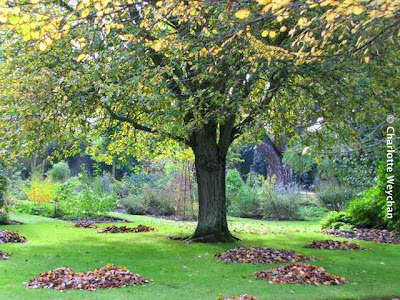 Both Garden and Arboretum are open throughout the year. This is absolutely stunning! I love the lily pads in that water feature! I was there in 2005 with my colleague Charlotte. Beautiful. We too visited the Harcourt Arboretum the same day. Great shots & info;-) We went to Oxford this summer (Christ-Church) but not to the Botanic gardens. We only had limited time for sight-seeing. Wish I could go someday and do 'whatever I want to do'! With kids, it's tough sometimes! This is one that I missed on my recent trip, but will go on the next itinerary. I never properly thanked you for being the inspiration for our recent UK garden trip...it was delightful, in large part due to your recommendations! Beautiful gardens. Thanks for sharing.